Nagpur: Orange City Miss LAD personality contest was organized at LAD College Shankar Nagar campus on January 22, in which girls participated in all their beauties to win over the crown. This year’s most practical trends styles all were shown in Miss LAD 2019 and 32 contestants from final year of different faculty were selected during auditions. The girls grabbed the eyeballs as soon as they walked the ramp in their beautiful, eyecatching attires. All the participants managed to pulled it off effortlessly. The parameters for judgment are not just based on height, weight and looks, but the sole idea behind this contest was to appreciate girls’ talent in every field and help enhance their personality. The eminent judges of competition were Dr. Vaidehi Marathe, Sheikh Zakir Hussain, Vikash Khurana, Dr. Amit Samarth, Poonam Maneria. and Dr. Vartika Patil were enthralled with the presentations of all the contestants. The participants also performed dance on the electrying tunes of ‘kambariya’, not only this, there were many fun sections of dance, QnA round which created a zeel among all. The answers of many contestants during QnA round left all in awe. 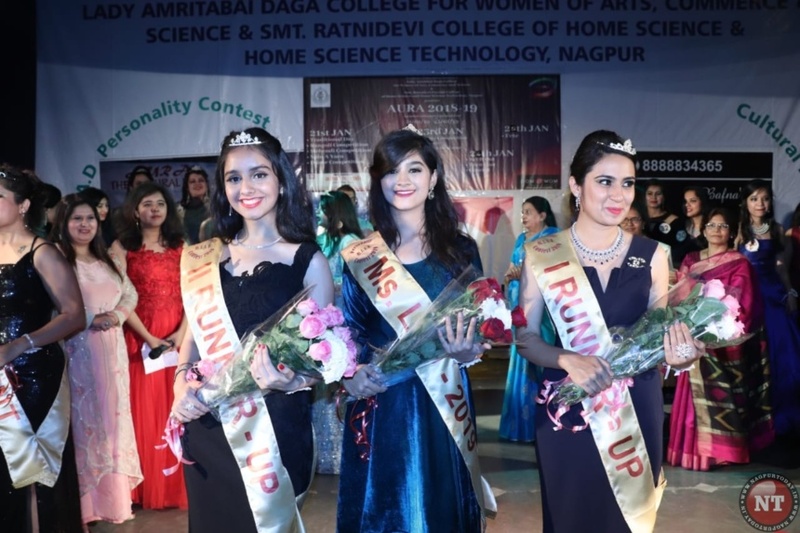 The jam-packed hall welcomed the victory of Asmita Turaskar who lifted the crown of Ms. LAD personality contest 2019, while Sneha Mangtani grabbed 1st runner-up, and Jahnavi Balani was the 2nd runner-up.